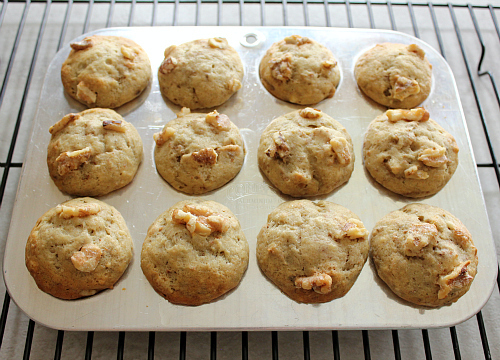 one of my favorite things that we made for mother's day brunch this past weekend was our banana walnut muffins. since we knew that there would be a lot of food for brunch, we decided to make these muffins miniature, and they were just the right size. 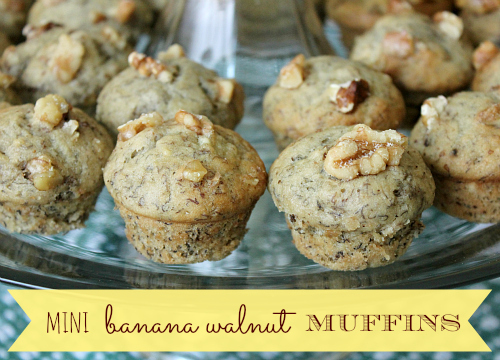 these mini banana walnuts muffins are the perfect addition to a breakfast/brunch gathering! preheat your oven to 375 degrees F. sift the flour and baking soda into in a large bowl. add the sugar, melted butter, egg, and vanilla. beat well with an electric hand mixer until combined. in a separate bowl mash the bananas with a fork. add the bananas to the mixture and beat well. stir in the chopped walnuts. spoon the batter (approximately 1 tablespoon per mini muffin) into a well-greased mini muffin pan. 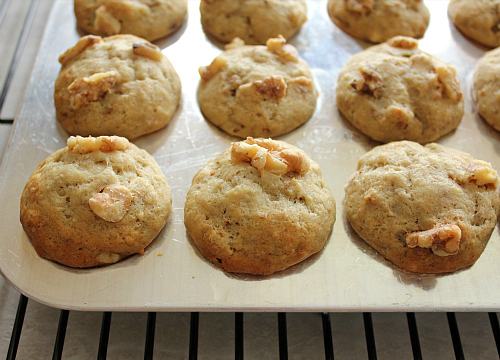 optional: add additional chopped walnut pieces on top of each muffin. 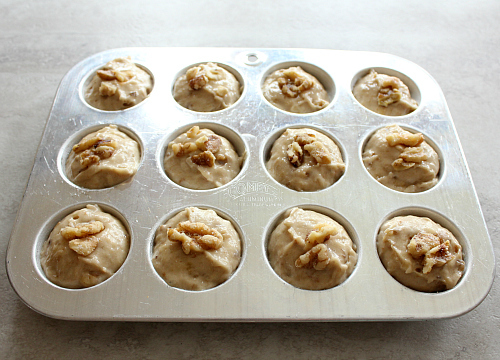 bake for 16-18 minutes or until a toothpick inserted into the center of one of the muffins comes out clean. once baked, allow the muffins to cool in the pan for about 5 minutes before removing them from the pan and transferring them to a wire rack to finish cooling. They were good. I had two last night and gave dad two for breakfast with his eggs this morning.